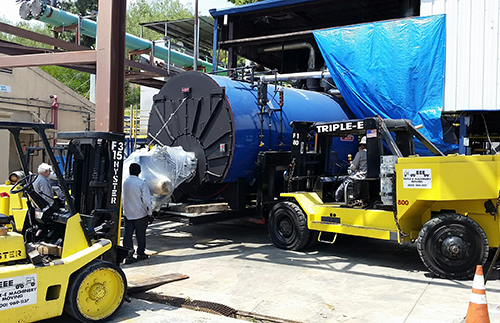 Removal and replacement of 100,000-pound boiler - Triple-E Machinery Moving, Inc.
Triple-E is located in Los Angeles County. 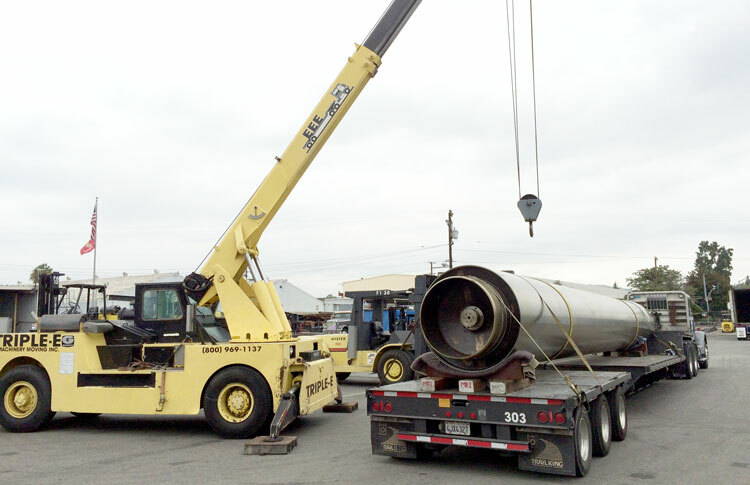 We provide transport and rigging services for industrial and commercial boilers, and all types of large and heavy equipment to customers nationwide. 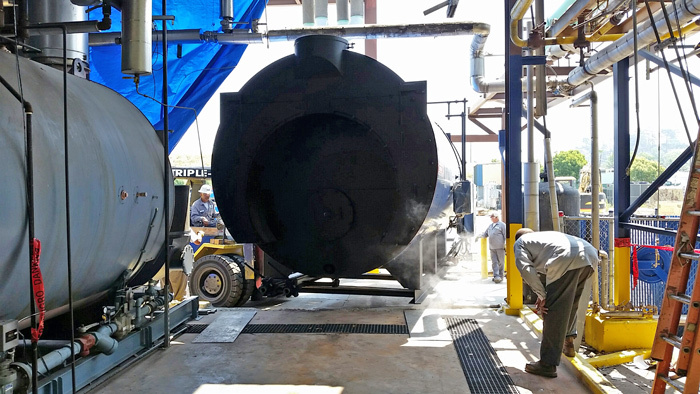 We recently worked alongside California Boiler on the removal and replacement of a Hurst Boiler at Grifols Worldwide’s Los Angeles facility. 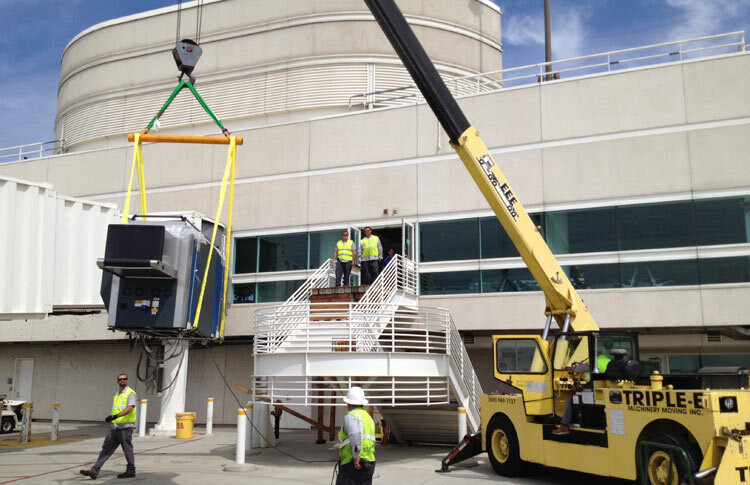 California Boiler has strong relationships with several top boiler manufacturers such as Hurst. 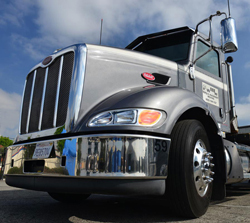 They are true experts, and can help with selecting the right equipment to reduce operational costs, and comply with emissions standards. 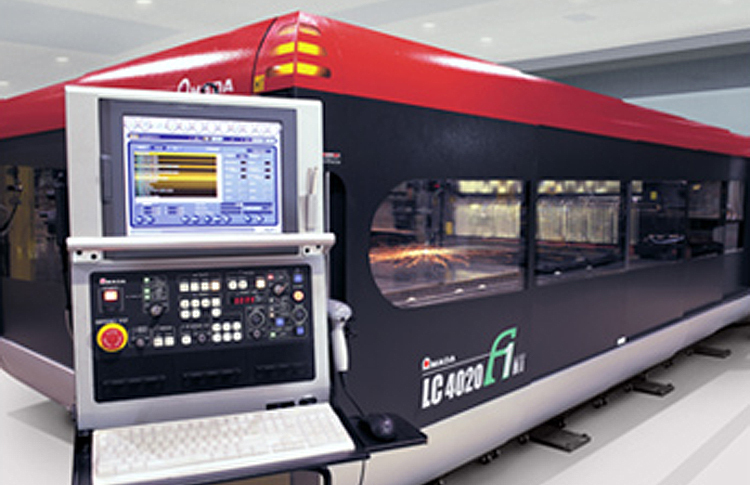 They also provide facility layout assistance, and any maintenance required for many types of boilers. 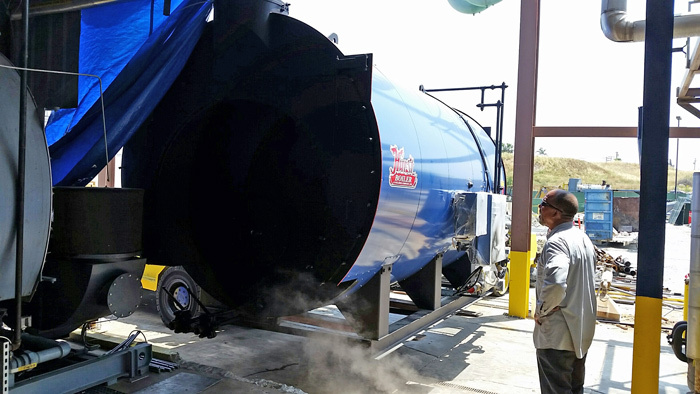 Triple-E has had the pleasure of working with California Boiler on past projects such as a boiler systems upgrade for Performance Sheets manufacturers. Getting large machinery into or out of a boiler room, basement or plant requires knowledge, planning and the right tools for the job. Triple-E is well versed in all the issues involved with moving, transporting and rigging for this often extremely heavy equipment. 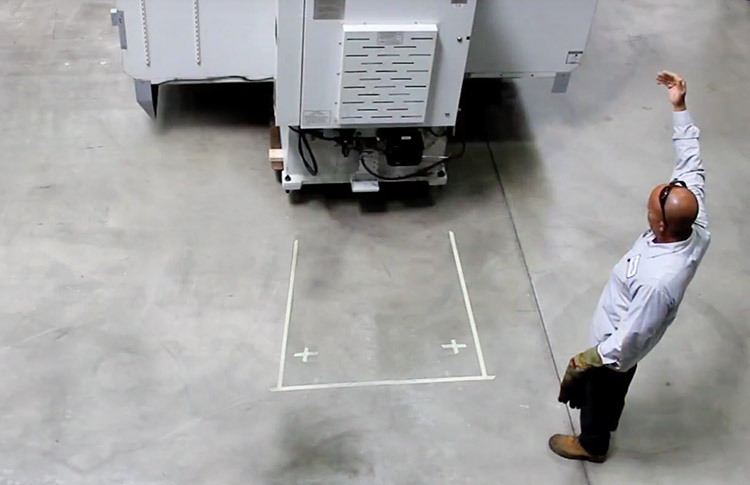 When rental equipment is required, or temporary storage is necessary, Triple-E will be there. We will make ourselves available throughout the planning process as well. 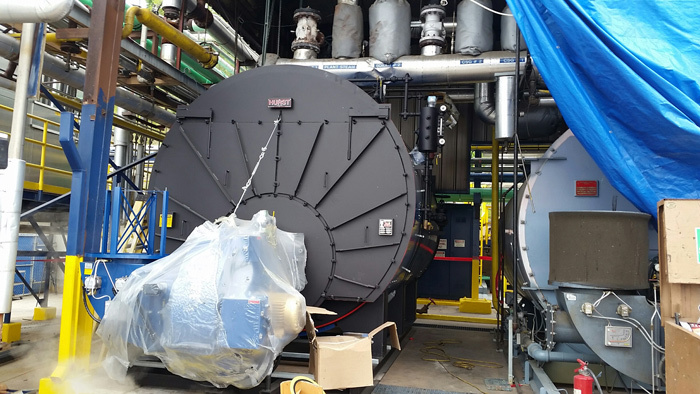 We offer secure storage and warehousing for boilers and other industrial machinery as needed for each project. Delivery occurs at the exact right time, every time. Our crews are available 24 hours a day, 365 days per year. 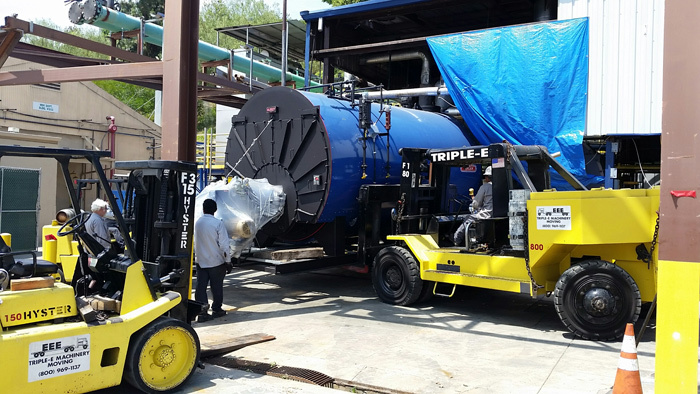 Whether you need a partial retrofit to comply with the latest emissions standards, a boiler installation or a new boiler system altogether, we provide an extensive fleet of specialized air-ride trucks, forklifts and cranes to complete almost any project quickly and safely. Triple-E will protect valuable boiler-systems machinery as if it’s our own. We will also remove old equipment, as well as ensure everything is back up and running and that every detail has been considered. Call us today for industrial rigging services with EEE’s!